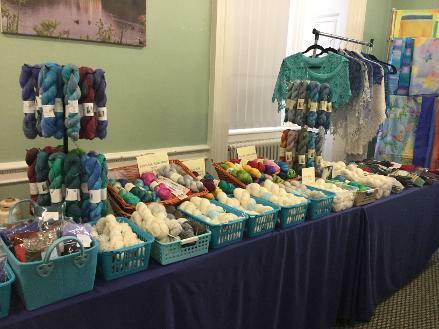 The 2019 Wool Market will be held on Saturday 5 October 12-5pm at Liskeard Public Hall. This year we've expanded into the whole complex and have 36 stalls in total. 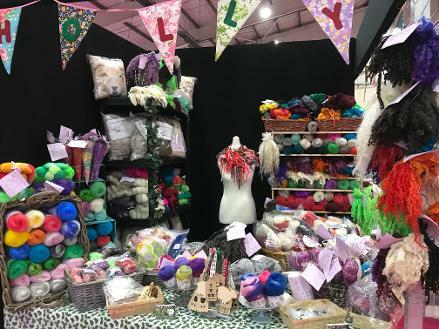 As well as welcoming back many popular stalls from previous years, we have some great new ones selling yarns, fibre, other supplies and handmade woolly items. To find out more about our wonderful stalls, see below. Suri are the 'rare breed' of the alpaca world with different fleece and fibre characteristics to the more common huacaya alpaca. Alpaca Yarns will have fine suri alpaca fleece for spinning, natural British suri alpaca yarns for knitting, crochet & weaving in balls and on cones. The yarn is spun in a UK mill specialising in suri and in a worsted process. Also some great knitting and crochet kits to make stylish accessories & exquisite handcrafted items. 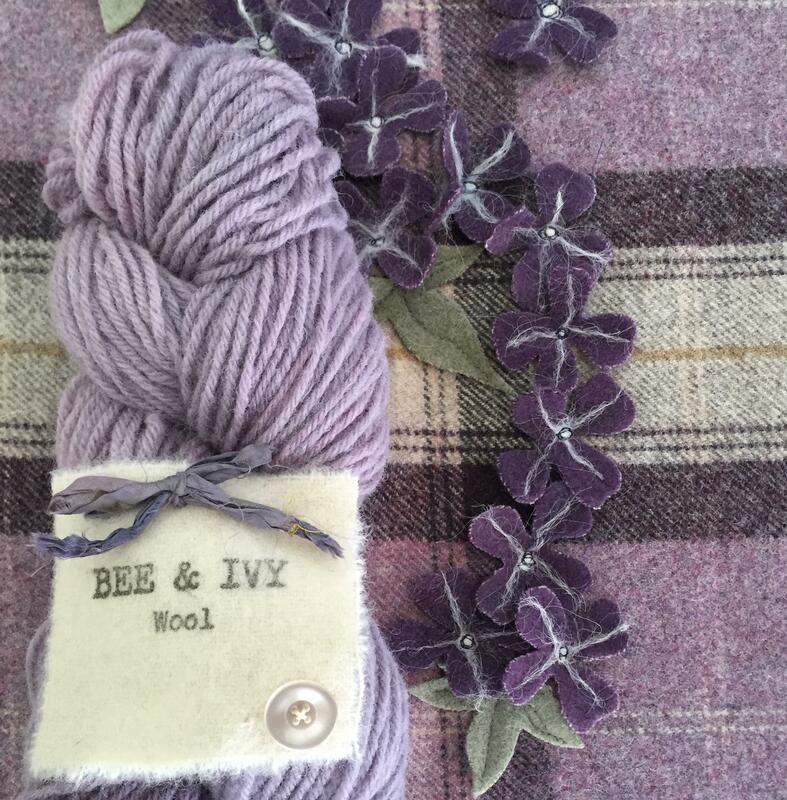 Bee and Ivy are passionate about rare breeds, especially Devon breeds, and supply hand-dyed and natural fleece for felting, stuffing/core wool, weaving, spinning and crafts. 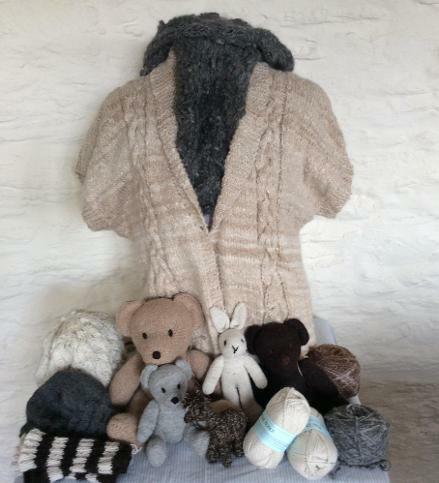 Also rare breed locks, hand-dyed Lleyn yarn, hand-made felted soaps and gifts and other sheep-wool related products. Bellica yarns sells a variety of hand dyed yarn, project bags and knitting related accessories at an affordable price. 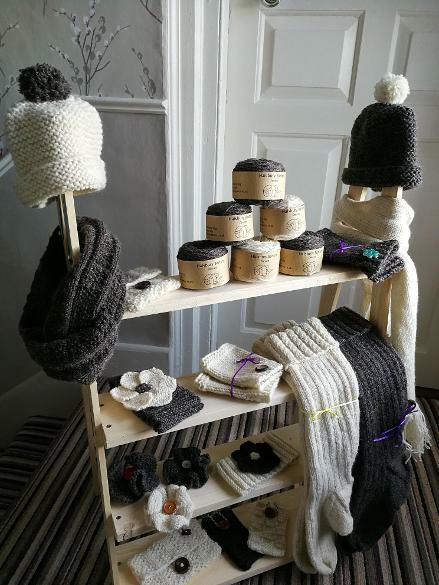 Shetland wool and products from two local farms in Devon including: raw Shetland fleeces in different natural colours, processed Shetland wool, as rovings, skeins of wool and balls of both 4 ply knitting wool and double knit, also felted 'tuffit' seat covers and sheepskins. 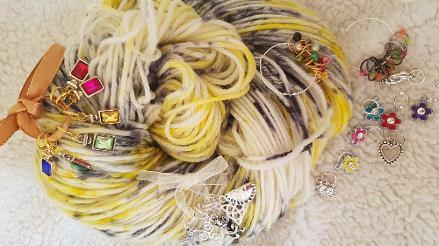 Producer of stitch markers to suit all knitters and crocheters and hand-dyed yarns inspired by Cornwall. 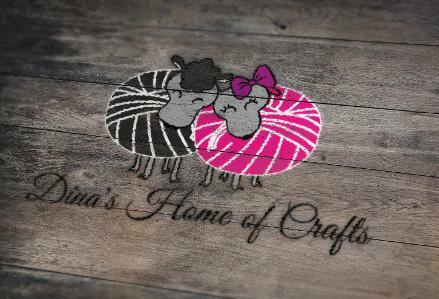 Dina's Home of Crafts is an independent crafts company which specialises in quality yarns and accessories, both manufactured and handmade. 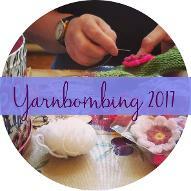 We are bringing along an extensive range of luxury hand dyed yarns, knitting needles, project bags, stitch markers and ready to make kits. Baby alpaca fibre, natural and dyed, handyed alpaca/silk/cashmere yarns. 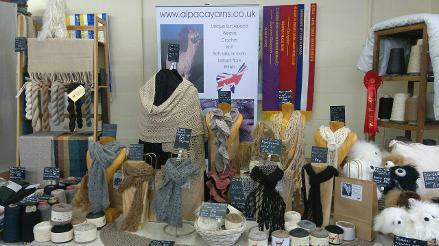 Hand spun alpaca and very fine hand-knitted lace scarves and shawls. A one-woman business, Fox Eats Fibre specialises in small batches of unique, vibrant, hand-dyed yarn and fibre, often inspired by the Cornish countryside and the seasons. 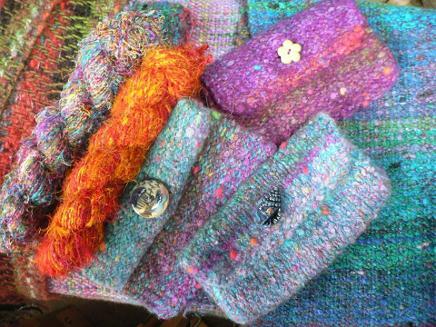 She also crafts felted creatures with personality, and produces weaving kits using her own hand dyed yarn and fibre. 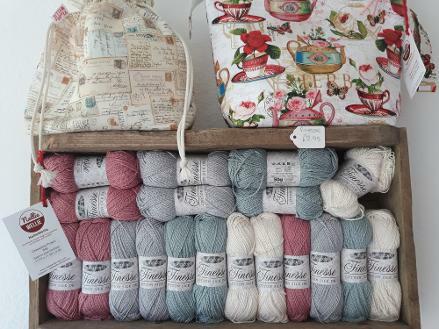 We have a luxury selection of all-natural yarns to knit and crochet with. We also have gift kits and our award-winning, plant-dyed yarns. Cosy merino and smooth cottons and bamboo, softest alpaca and Polworth, you will only find the best quality yarns at Gorgeous Yarns. Luxury quite literally at your fingertips. Halsbury Barton is based on a family-run farm which has a flock of Jacob sheep. They will be exhibiting their quality products of natural coloured Jacob sheep woollen throws, cushions, body wraps and knitting yarn. 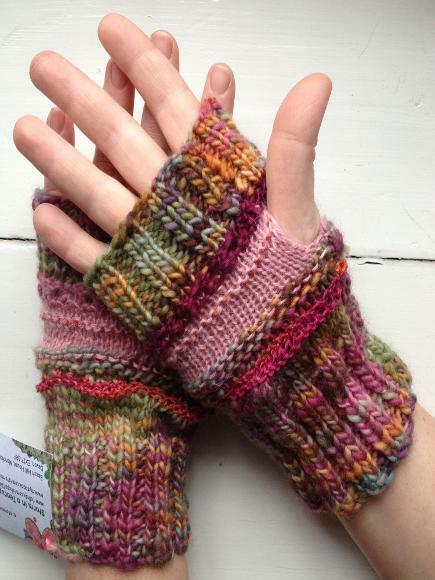 These are complemented by a selection of hand knitted items. Their products are unique and customers can be assured of their traceability. Wool, fleece and Locks from Devon sheep. Hand washed, dyed and carded. For spinning, felting or any other woolly crafts. Rolags, batts, tops, locks, felting kits, accessories and more. All lovingly hand produced. Unique, hand-knitted clothing and accessories for children. All my knitwear is designed by me, Tamsin, and lovingly hand-knitted in a small Cornish village by the sea. I use only the finest yarns in a rich colour palette and always aim to have a homespun finish - I want my pieces to look hand-knitted and not machine perfection! Over time I have introduced a few jewellery and seasonal decoration items.Some for children,some for Mums and some for knitting addicts too! They always look great merchandised alongside my woollies. Hand-dyed yarns from Plymouth, with colourways inspired by the ocean, birds, flowers and anything a bit quirky. 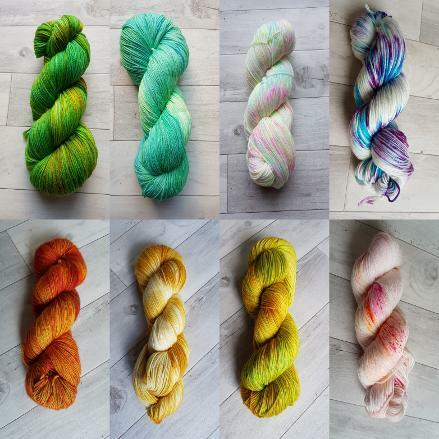 I adore all colours, muted tones or bright and vivid ones so anything can come out of the dye pots! Also hand made stitch markers. 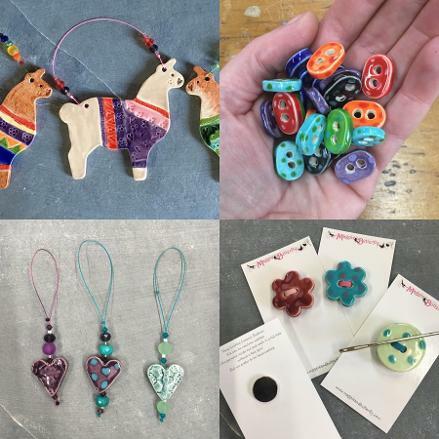 Unique, bold, bright, beautiful ceramic buttons, beads, stitch markers, jewellery and quirky decorations; all hand created by Vanessa in her eclectic studio in Marazion. 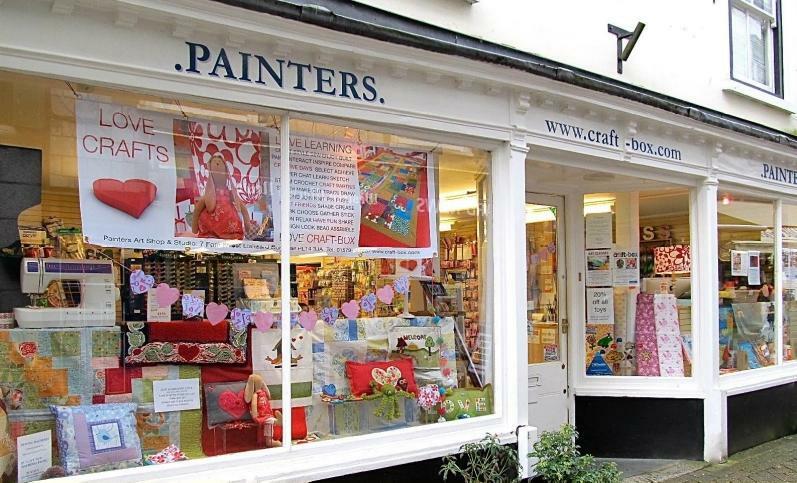 Painters specialises in patchwork fabric, quilting supplies, textiles ,wool and haberdashery. Workshops for all abilities especially absolute beginners or we are happy to tutor on a one to one basis. 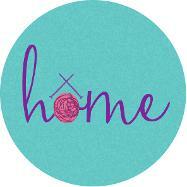 We also host knit and natter groups, bi-monthly sewing groups and drop in sessions. Perran Yarns are luxurious and unusual yarn bases plus recycled sari and chiffon silk ribbons individually hand-dyed in our kitchen workshop near Perranporth. Custom dye requests are welcome. We also bring gift-boxed original knitting and crochet kits for you to create a sumptuous accessory at an affordable price. A specialist shop in Cornwall for fibre fanatics, with probably the widest range of tops this side of the Tamar. Retailer of Ashford wheels and looms and Valkyrie combs. Our range includes over 50 combed tops (dyed Merino, various sheep breeds, plant & luxury fibres), Colourcraft dyes, Ashford equipment and Valkyrie combs. We have wool by West Yorkshire Spinners and Jamieson & Smith Shetland as well as undyed yarn. New lines are still being added. Yarn shop stocking British yarns and hand-dyed yarns. Also supplying knitting needles and patterns. 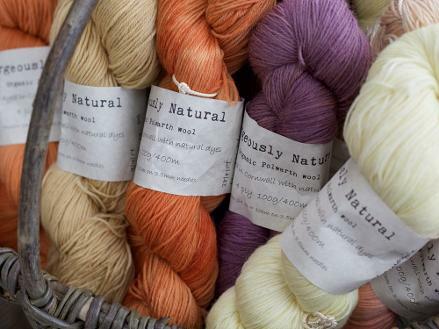 Rosie specialises in hand-dyed, luxury yarns and fibres at affordable prices. 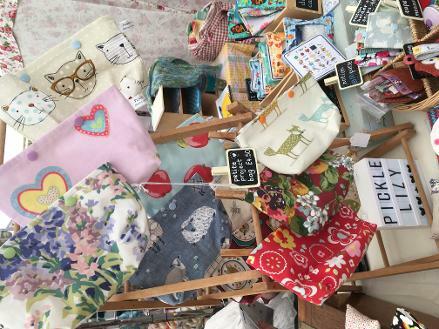 She has gifts for spinning, knitting and crochet including the popular sockers ruler, crochet blocking boards and gift-a-balls, project bags, needle gauges, gradient cakes, patterns, sock kits and lots more. 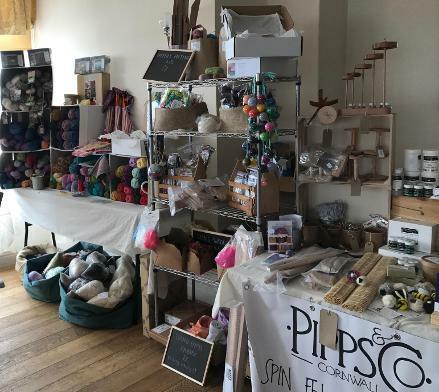 Sampford Alpacas breed alpacas and will be selling their wonderful fleece in various forms from raw to knitted articles - also balls of yarn both hand and commercially spun. They have clothing and toys made from very soft, warmalpaca yarn. 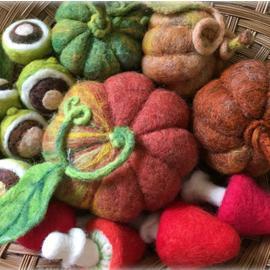 Marion Carbis is a textile artist specialising in 3D needle felting. Made in Cornwall approved, each sculpture is unique, reflecting humour and a quirky style. She offers bespoke commissions and runs regular workshops in West Cornwall. 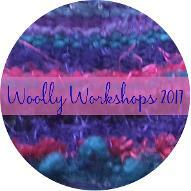 A Little Wool Shop in Exeter & Teighmouth offering yarn, notions, workshops & meet ups. 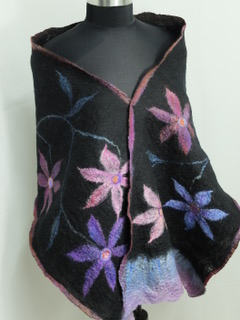 Stunning and highly individual scarves, wraps and accessories created in Nuno felt (wool felted through a pure silk base) and traditional wool felt. Each piece is hand made in my studio in Looe, Cornwall, and would make a wonderful gift - or why not treat yourself?! I will also have wool fibres and silk fabric for sale. The Button Box Devon sell vintage, second hand and new buttons, unique ribbons and trims and small crafting items. We also stock a range of upholstery and trimmings. We are always bringing our customers something new and exciting. 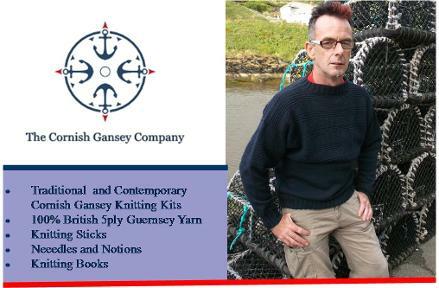 The Cornish Gansey Company - knitting Cornwall’s Heritage. We sell traditional and contemporary Gansey knitting kits plus needles, 100% British 5ply Guernsey yarn, needles, knitting sticks and more. 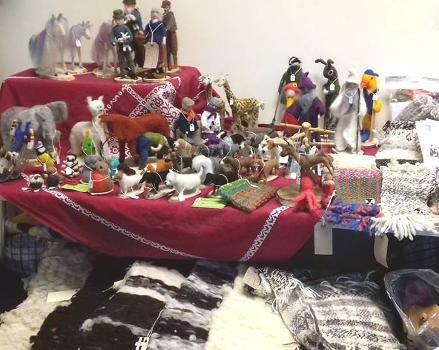 We are smallholders in Lanivet who sell peg loom rugs and bags, needle felted animals and figures. We also make and sell looms, drop spindles and other spinning and weaving equipment. 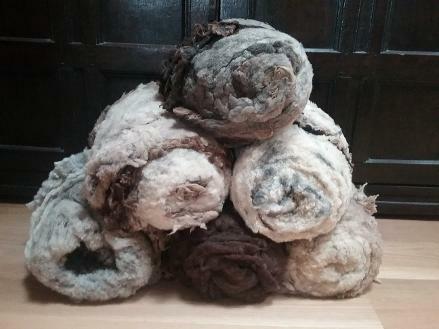 We will have raw and carded, dyed and undyed wool from our own flock. And vaoius spinning and weaving kits together with a selection of our other items. We also run workshops for taster sessions in peg & pin looming and needle felting. 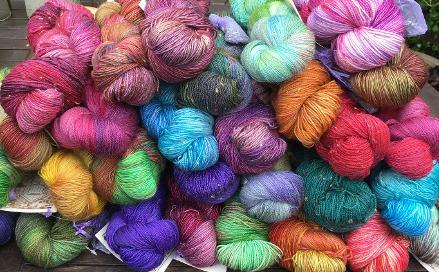 Twisted fibres offers bright, vibrant signature hand dyed wool tops, fleece and a large variety of fibres for you to use in your felting, weaving, spinning and textile project. Create your own pick and mix boxes with all the fibres available . 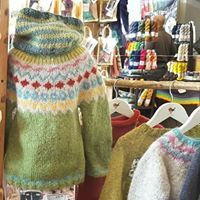 They create foraged wood jumbo knitting needles and drop spindles, plus recycled wool clothing , felting goods and bespoke gifts. Jo makes make buttons, shawl pins, and other decorative accessories using polymer clay – add the perfect embellishment to your wool and fibre projects! 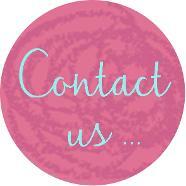 Commissions undertaken – if you can’t find what you’re looking for, have something made to match. She also teaches a range of workshops using either polymer clay or Precious Metal Clay, Silver. 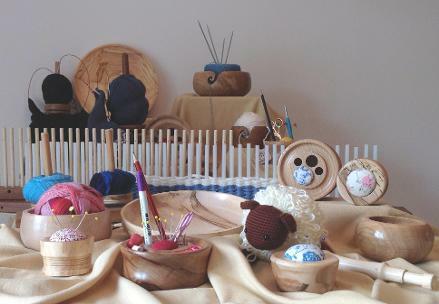 A range of tools and equipment for weaving, knitting and crochet, all locally made in beautiful, natural wood. Hand turned items include wool bowls in various sizes, wool tidies, accessory holders, Knitting Nancies, pin cushions and wraps per inch gauges. All individually made and unique. I also make peg looms, inkle looms, warping frames and jumper frames/blockers.